Select “Cost Import” and Select one or more views to associate with this Data Set. Define the Data Set schema to include dimensions and metrics, in this example, we only picked cost as a metric and source/medium & campaign as a dimension. You can add clicks and impressions if you need. 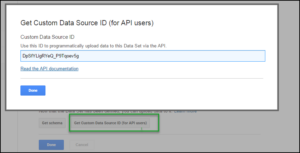 Finally, save and then click “Get Custom Data Source ID (for API Users)“, copy the ID, will be using it later on. 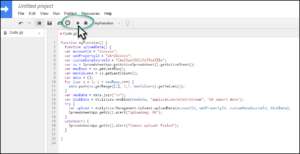 3- Connect Google app script to your spreadsheet. 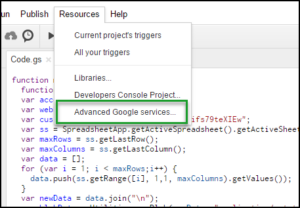 Now, you can schedule an upload to happen on an hourly, daily or weekly basis, Google will run the script and import the data exists your spreadsheet through their management API. On the other side, you should also have a pull schedule to get your data from Facebook and Bing. Let’s say, you will automate a trigger through your spreadsheet add-on to refresh your data at midnight, in this case, it’s recommended to schedule Google apps script to run at least one hour after to push the data to GA.
Once the cost, clicks, and impressions data have been imported and have finished syncing with the existing traffic data at the source/medium, campaign, and keyword levels. 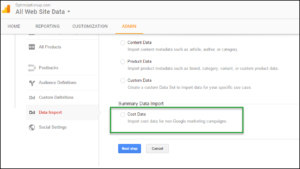 You have the ability to see this data in two important places within GA. Firstly, the “Cost Analysis” section of “Acquisition” under the “Campaigns” parent tab displays campaign and e-commerce information similar to what you’d see under the “AdWords” section of “Acquisition”. Looking forward to your comments below. Do you allow guest posting on your site ? I can provide high quality posts for you. The Article is cool. I also have bookmarked it. However can explain more about this statement? 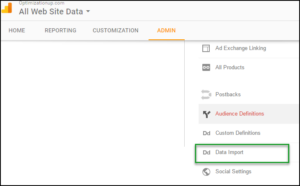 you need also a connector or a spreadsheet add-on to pull the data from Facebook or Bing automatically. There are many Google sheets add-ons that can allow you to schedule a cost import from most of the ads platforms. At the same time, you schedule your script to push the imported cost to GA. The most common used add-on is “Supermetrics”, please find the link below and let me know if you need any help. 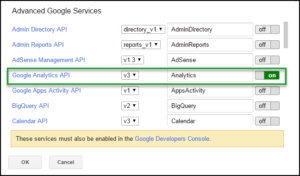 …but supermetrics only allows you to import from Google Analytics on the free version. Yes, you need the paid version. I got an error that there was an extra closing } in the code. Works fine with the extra bracket deleted. 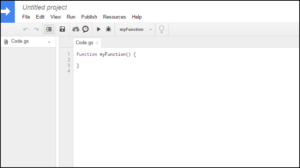 Simply setting it as =TODAY()-1 won’t import. Thanks Tony for your inputs. The extra brace has been removed. thanks a lot for your script, but i’ve a problem with it: doesn’t work at the moment of upload data. I’ve follow all the steps, i’ve create the sheet data with supermetrics, the data set in GA and the Google Script that i’ve configured with my data. Can you help me? i can send the screen about the debug or give you a access. Can you please share with me the sheet URL through the “Contact Me” page? This is one of the most helpful blogs i’ve read on this subject! Thanks a lot. I am receiving Timed out waiting for user response (line 19, file “Code”) when i go to upload. Do you have any advise? 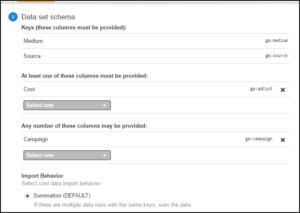 I want to automate cost data import from Linkedin to Google Analytics, Do you have any comments on that. Can you help me to fix this issue ? This post has been really helpful. Thanks. I’m missing one piece. If I have multiple data sources (i.e. Bing, Facebook, Yahoo) all in one Google Sheet (different tabs), how do I differentiate the data sources? In another words, how is the script tied to the Google Sheet? I see the var ss is set to SpreadsheetApp.getActiveSpreadsheet().getActiveSheet(); but I’m not sure what that means. Any clarification would be helpful.